It’s been two years since everyone began helping the Milky Way Project map bubbles in our galaxy (and other things too). To celebrate we’ve created another anniversary poster, featuring the names of all the participants. You can download it here (warning that’s a 19MB file) or a slightly smaller one here (5MB). 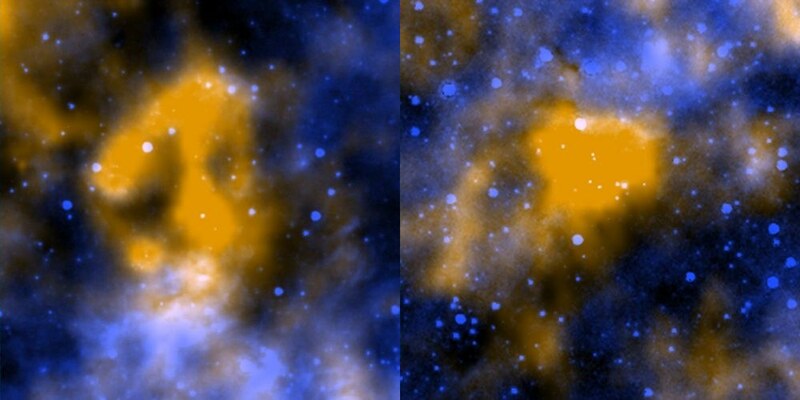 The Milky Way Project is now producing science – with two papers already published and online. You can see these and all the Zooniverse publications at http://zooniverse.org/publications. We have some new features coming to the site soon – so stay tuned. Almost two years ago we launched the Milky Way Project and the search for bubbles in our galaxy continues at http://www.milkywayprpject.org. 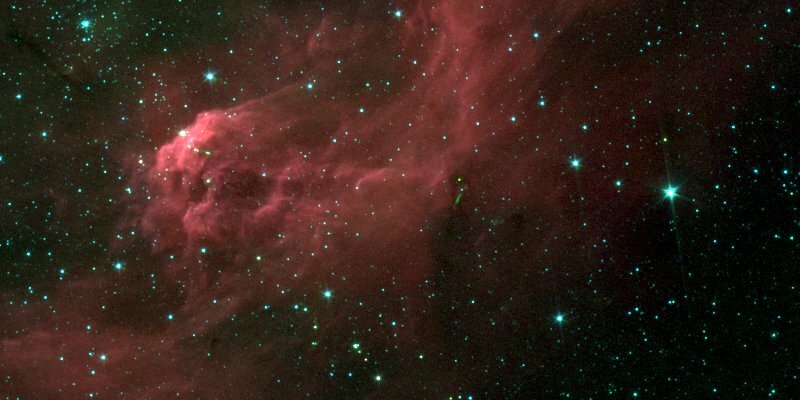 Today we’re pleased to to welcome a new space-based Zooniverse project into the family. The Andromeda Project (http://www.andromedaproject.org) is science in the galaxy next-door and we thought that the MWP community might like this new project. It’s very much our new sister site. We’re betting that you can help us explore some amazing Hubble Space Telescope data, to help identifying star clusters in Andromeda. There may be as many as 2,500 star clusters hiding in Hubble’s Andromeda images, but only 600 have been identified so far in months of searching, and star clusters tend to elude pattern-recognition software. We know it’s something that everyone can help with, even without extensive training. 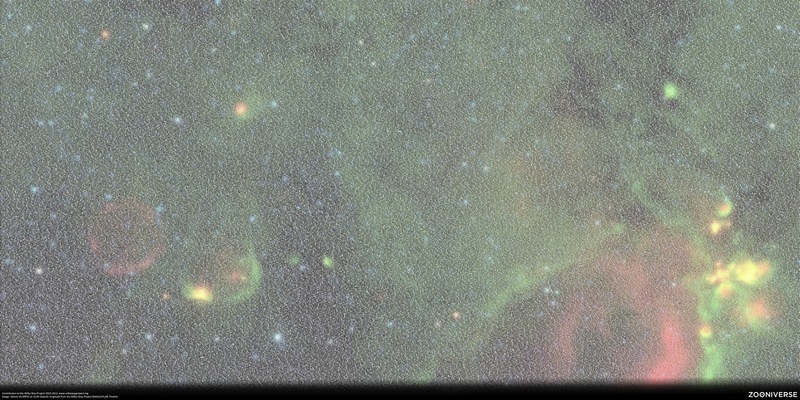 There are more than 10,000 images waiting at http://www.andromedaproject.org – they all come from the Panchromatic Hubble Andromeda Treasury, or PHAT for short. The goal of the PHAT survey is to map about one-third of Andromeda’s star-forming disk, through six filters spread across the electromagnetic spectrum — two ultraviolet, two visible and two infrared. The Hubble telescope started gathering images for the treasury in 2010 and is expected to send its last batch of images back to Earth in the summer of 2013. The Andromeda Project aims to produce the largest catalog of star clusters known in any spiral galaxy. You can also find our the Andromeda Project on Twitter @andromedaproj and on Facebook too. Some months ago I was contacted by the producers of a well known German science programme called Nano, which is broadcast on channel ZDF. They were recording a segment for the show on citizen science, and were keen to talk to me about the Milky Way Project. I was happy to help, they visited, we chatted, I walked up and down corridors and through doors, they filmed, and went on their way. The item was finally shown on Nano last week, on 7 September, and they did a great job showcasing our amazing images. You can watch the video for a couple more days here, and an accompanying article can be found on this webpage – these all in German. And yes, that’s me, at my desk in Heidelberg. Milky Way Project is just one of the projects featured on the programme. I particularly like Artigo, one of the other projects featured. The aim of Artigo is to tag images of artworks, to enable catalogues of artwork to become more searchable. Artigo is set up like a game: two users are simultaneously shown the same image, and they’re asked to type in words that describe an aspect of the work they’re looking at. The users then score points based on the tags they enter: 0 points for a tag that’s never been entered for this image, 25 points if the other player has entered the same work in that session, and 5 points for a word that has previously been entered by another user. It’s a really neat idea and quite a different approach to classifying images than is used by the Zooniverse projects. The attractive thing about a game approach is that the user gets immediate feedback on how they’re doing. I know that many MWP users regularly ask for feedback on their classifications. The problem with giving feedback, however, is that we don’t want to bias the users towards any particular kind of bubble drawings – we want you to tell us what a bubble looks like. Artigo gets rounds this very nicely by giving feedback based on what other users think, rather than what the art historians think.